A few details about audio in Parallels Desktop for Mac. Sound good? Like any other modern computer, Mac computers have audio recording and playback devices (such as microphones and speakers); many of us use external headphones as well. As people install and start playing with Parallels Desktop, they’ve found a lot to appreciate, but we’ve had some questions on configuring sound settings in users virtual machines. Lets shed some light on the audio settings available in VMs! 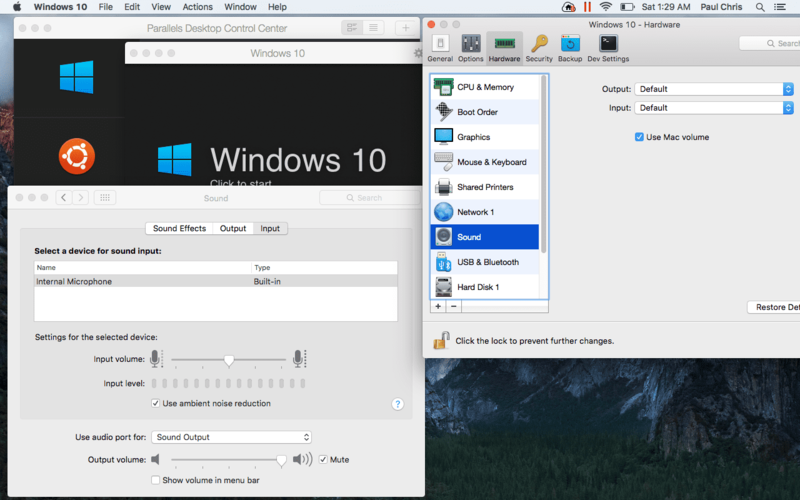 Parallels Desktop provides sound output for the guest operating system by emulating a virtual sound device inside your VM. 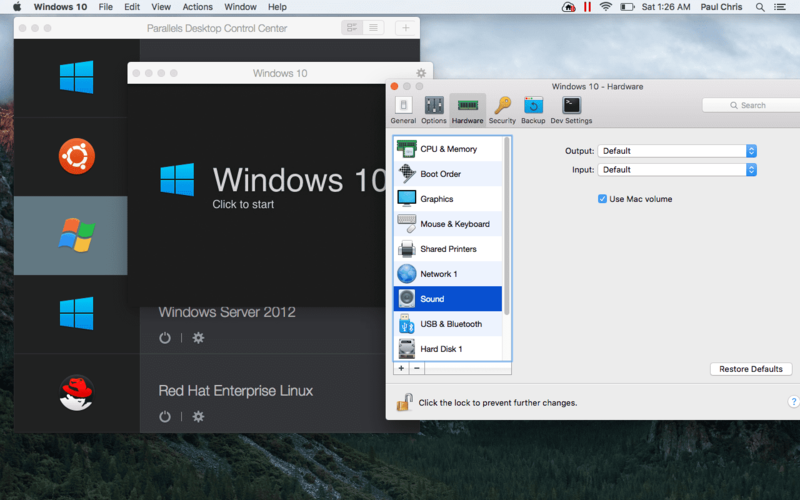 On the host operating system side, Parallels Desktop uses sound in a similar manner to any other application. If your host operating system is configured for sound, it’s automatically available on the VM side. Note: Parallels Tools must be installed in your VM to have sound. The Sound pane of the VM Configuration allows you to configure the VM sound device parameters. 1. Click the Parallels icon in the top Mac menu bar and choose Configure. 2. In the VM Configuration window, click Hardware and select Sound. 3. Make appropriate changes. For example, you could select a different input or output device, or uncheck sound sync with Mac OS X. By the way, if you are using Windows 10, it comes with the virtual assistant Cortana. Cortana is supposed to listen to your commands and respond by bringing up searches, relevant files, bookings, reservations, and so on. If you would like to know more about Cortana in Parallels Desktop, check out this post. But what if there is no sound on the Parallels Desktop side, or it’s not working properly? Read on below to troubleshoot it and get it fixed! NOTE (again): Parallels Tools must be installed in your VM. The easiest way to check whether audio is working on your Mac is to try to play any audio or video on your Mac. If you don’t hear the sound, the problem needs to be fixed on the Mac side first. You can refer to this Apple KB article for help: Troubleshooting issues with no audio from built-in speakers on Macs. 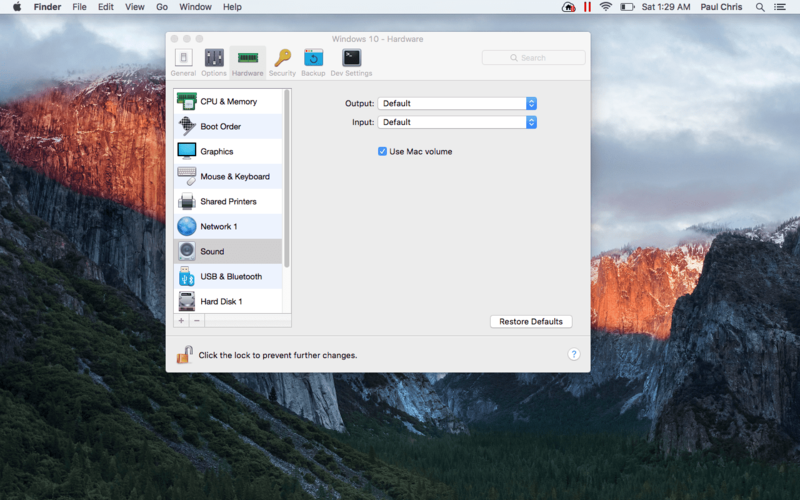 Open Mac System Preferences > Sound, and note what devices are chosen for Input and Output. Then, go to your VM’s Configuration > Hardware > Sound, and make sure the “connected” option is checked. Also, check to see if either Default or the specific device corresponding to the real device in your Mac Sound preferences (2) is selected for both the Input and Output device. If you’re using headphones, speakers, or another audio accessory and you hear a crackling or distorted sound, the accessory might not be plugged in properly. Try unplugging and plugging it back into your Windows VM to see if this helps. If you only hear the distortion while using that particular accessory, it may be faulty and have to be replaced. I hope this blog post explains some peculiarities of audio settings in Parallels Desktop. Thanks, and don’t forget to follow us on Twitter!